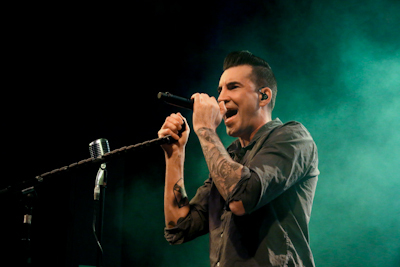 On the back of their recently released sixth studio album ‘Wake up Tour’ Theory of a Deadman (TOAD) have finally landed in Manchester for the last show of their UK leg of the tour. Tonight they are playing the Manchester Academy 2, a venue that they are well familiar with having played it several times previously. The audience tonight is a great mix of young, old, rockers and regulars but all with one thing in common, their love for TOAD, the room is buzzing with excitement and absolutely packed out to the rafters. 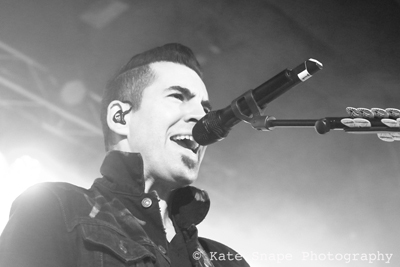 Tonight playing to a sold out crowd at the Manchester Academy 2 are Canadian rockers, Theory of a Deadman. 10 years since releasing their first record and 5 albums later, its nice the see the band finally getting the recognition they deserve from UK audiences.